It’s hard to believe it’s September already and time for Back To School. The kids are sporting new books, backpacks, and probably some new laptops here and there. It’s a great time to make sure their computer is ready for a new year. Give them a system clear of Virus and spyware. Clear out old temp files. Defrag the hard drive. Give them a good clean start. By far the biggest problem we’ve seen recently is Fake Antivirus Software. It’s everywhere and causing major problems for everyone. We receive several requests daily for help with this problem. Check your child’s system, and yours too for that matter, to be sure it’s clear. If it’s not, follow the advice given by Doug Bender to one of our members. I recently fell victim to the Personal Antivirus software… I know very little about computers and I need to know what it is and how to get rid of it. A lot of tips and tricks show up in the search engines but it seems that everyone is always trying to sell you something instead of telling you what you really need to know… how to get rid of something that you cannot find in the “add/delete programs” and you cannot even delete the file in “program Files” because it will not allow you to delete it. Thank you for contacting PC Pitstop Customer Service. The removal instructions are here: BleepingComputer.com. You can download the free versions from Malwarebytes or Superantispyware. I recommend running the removal tools from Safe Mode with Networking. The reason for running in Safe Mode is that the items will not be active and able to resist removal. To access Safe Mode with Networking in Windows XP or Vista, repeatedly tap the F5 or F8 key while the computer is booting up. Once the menu opens, select Safe Mode with Networking, and later when prompted, administrator. The screen will look different because the video driver is not loaded. That will return to normal after a reboot. I have a IBM R 40 2681 CU1. Every time i install an audio driver it says, Driver Not Found. How can i fix this? There are two major reasons to get this warning. The first is that you are trying to install the wrong driver. Be certain that you are downloading the correct driver from your manufacturers website. The second reason is that the sound is not enabled in the bios. To access the bios continuously tap the delete key while rebooting your system. Look for Devices/Peripherals and make certain that that the Audio Device is enabled. Thanks for the questions, have a safe and happy Back To School, and keep the questions coming. 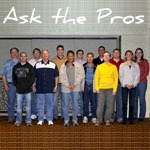 Ask The Pros computer, free versions, networking, PC Pitstop, problem, s system, safe, safe mode, software, video driver. permalink.